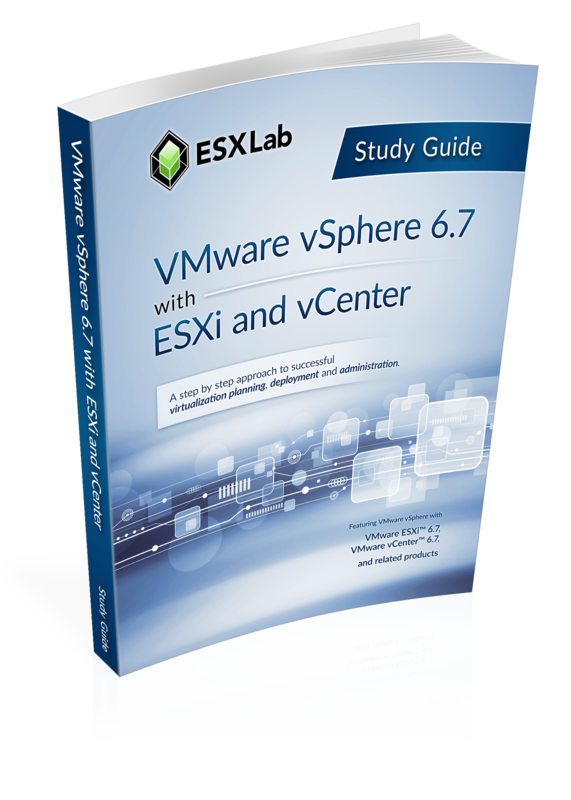 ESXLab is pleased to offer our VMware vSphere 6.7 with ESXi and vCenter training specifically tailored for people who need practical, effective and low cost VMware training. Our goal is to make you the best VMware vSphere 6.7 administrator possible. If you are looking for lots of detail about our course and what is included in our course books, please check out this link to the full course outline. Enhance your learning experience with ready to use *vSphere 6.7 Remote Access Labs*. Click *here* for details. We also offer lifetime access to 36hrs of *vSphere 6.0 Video-on-Demand* training. Click *here*for details. 1 HoL – Detailed Hands on Labs instructions provided for this chapter in our Lab Guide. All course materials are delivered as watermarked digital PDF downloads to the e-mail address you gave use when you signed up to our site.